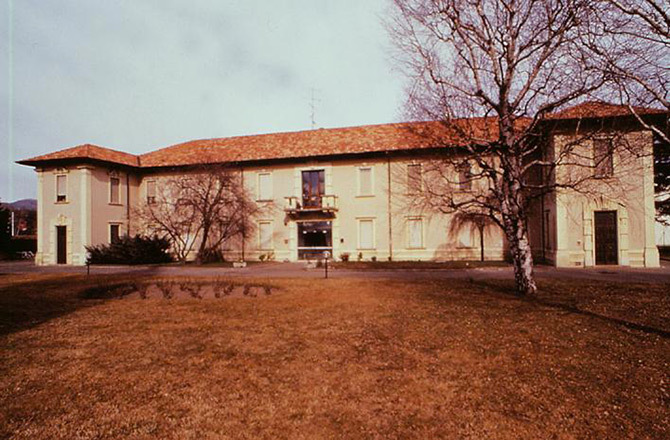 The complex that now hosts the Toy Horse Museum was once the historical Al Portichetto stables, which in July 1952 saw the birth of Tornese , a several time world champion. The stables were once owned by the two brothers Sebastiano and Giannino Manzoni: the former was a businessman, while the latter was a breeder. The stables witnessed their heyday during Tornese's career. In 1969, Artsana Group purchased the building and large surrounding lands to set up a factory. Workshops, warehouses and a large Chicco store were built on the Portichetto lands. 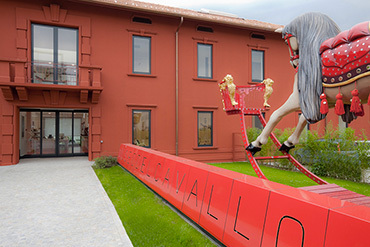 In 2000, Pietro Catelli, founder of the Artsana Group, decided to give back the stables to horses, hosting a large collection of toy horses in the home of the legendary thoroughbred. A stable of toy horses has been set up to unbridle the imagination of visitors. On the day of its inauguration, Pietro Catelli said “I felt guilty for having torn down the stables, but I had bought the land to build an industrial complex. Then, since I've always been convinced that you need to leave a mark in life, I decided to create this Museum as a way of leaving my legacy." The building as it appears today is the result of major enlargement and museum upgrade works in 2009 ordered by Pietro Catelli's sons. The plan designed by the architects Renato Conti, Paolo Brambilla and Paolo Lucchetta underscores the desire of the Museum's founder to restore the stables' original features while hosting the collection in a setting with a contemporary design. The legendary racehorse Tornese, one of Italy's best trotters ever, was born at the Al Portichetto stables in Grandate on 13 July 1952. Tornese had a long and winning career and became famous with the public at large as the Flying Chestnut: flying for the extreme smoothness and speed of his trot and chestnut for his reddish brown coat. Tornese started racing in 1955. At the end of his first season, he won ITL 1,195,400 in prize money, more than enough to buy two cars. In 1957 came the encounter with his historical driver Sergio Brighenti and they both won countless races together. One historical moment was the victory on 29 November 1959 at San Siro during the Grand Prix of Nations. 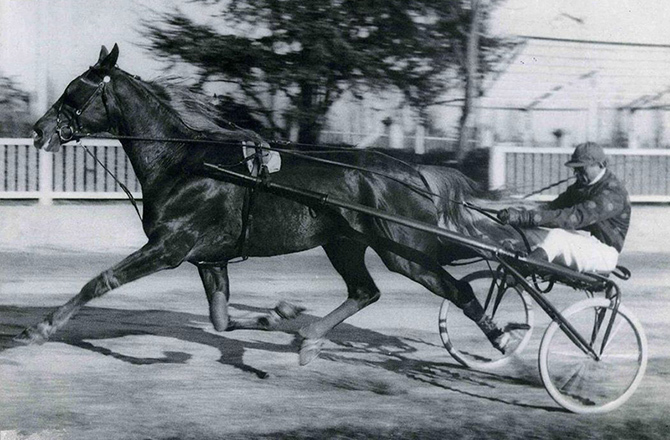 Tornese ran his last race at Tor di Valle on 26 December 1962. His career was closed with one last triumphal trot on 13 January 1963 in Piazza del Duomo in Milan. A crowd of fans filled the square to honour Tornese and his inseparable driver Sergio Brighenti one last warm and moving salute. 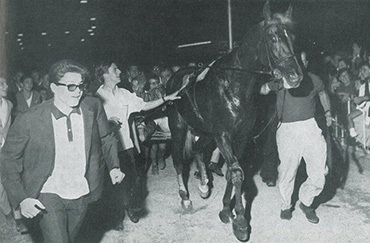 Tornese's prize record boasts 229 races and 133 victories.